Talk about a firecracker—Turner’s latest album is an explosion of down home Southern country. 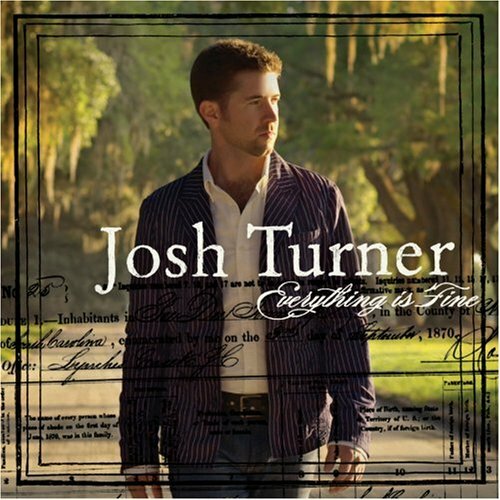 Turner has one of the most distinct voices you’ll hear, sort of a country crooner if you will. There’s something about his trademark ultra-low, smooth sound that resonates well with listeners. His voice has that magical way of coming across as if each song was created for your ears only. Fans of Turner’s previous work will be quite pleased with his latest creation. It’s another winner in his nicely crafted portfolio. As is often the case, the best piece in “Everything is Fine” will likely be a well-kept secret by the radio community. The album’s eighth track, “The Longer the Waiting” is one of the most beautiful songs you’ll ever hear. Its lyrics are so pretty, and the execution is spot-on; it is a very sweet love song. Turner fans will recall “Your Man” and how the similar song “Angels Fall Sometimes” never made it big, although most anyone that hears it is moved by it. The power and feeling in these songs are by far the biggest argument one can make for Turner; they’re incredibly touching and vulnerable. 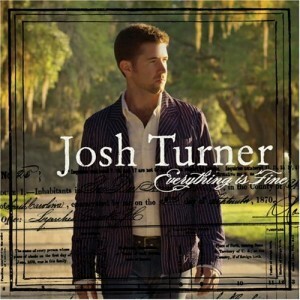 The rest of “Everything is Fine” is on par with Turner’s previous work. Title track “Everything is Fine” and its follow up “Firecracker” are both well-written and fun. A small downside to the album is that a few of the tracks are reminiscent of his last album, in lyrics and feel. Overall, though, Turner has turned out another collection that won’t disappoint loyals and may well recruit him some new fans.